After yesterday’s day of frantically shooting at the Boston Marathon, I was actually relieved to get back to real work today. With that came time to actually think about my daily shot. 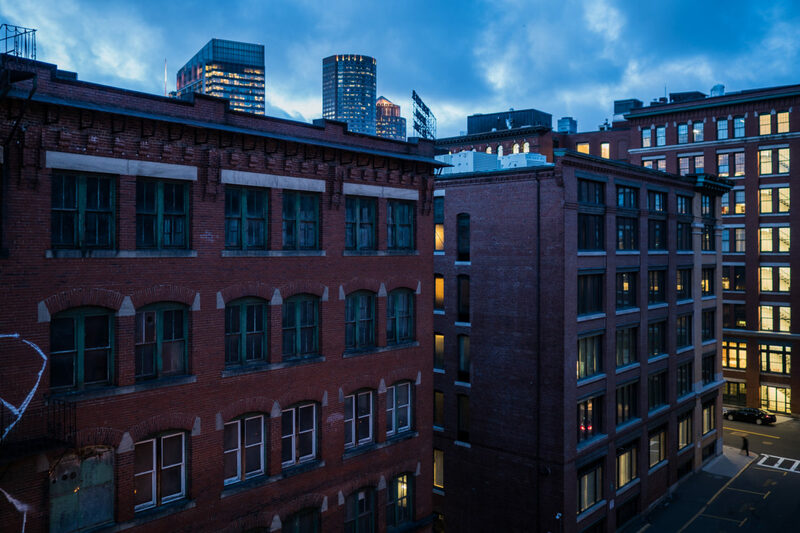 Working in the Fort Point District of South Boston makes that easy. Or at least easier. I have easy access to the Boston skyline and a vibrant atmosphere for street photography, should I choose to go that route. There is also the wonderful old industrial architecture that lines the street of the district. This shot, I think combines it all. It was shot from the top level of the garage I parked in today.